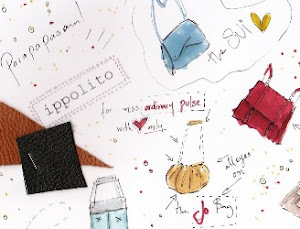 do i have to introduce my best friend pavlina, the designer of ippolito bags? Cause you see her quite a lot around these blogpages.. Many of you are, already, big fans of her work and loyal clients of her creations.. Well, ippolito showroom has moved and now spotted on 38, str.Voulis, Athens. Also here. Before visiting her in the new kind-of-old-athens-vibes showroom, take a zip below. Except for the elegance of the air, i bet you'll squint by the desire of possessing one of these new colorful obsessions. The new summer collection is answering to 'Colorcane Gardens' name. Enjoy.